Alton Community First Responders Meet the Public. 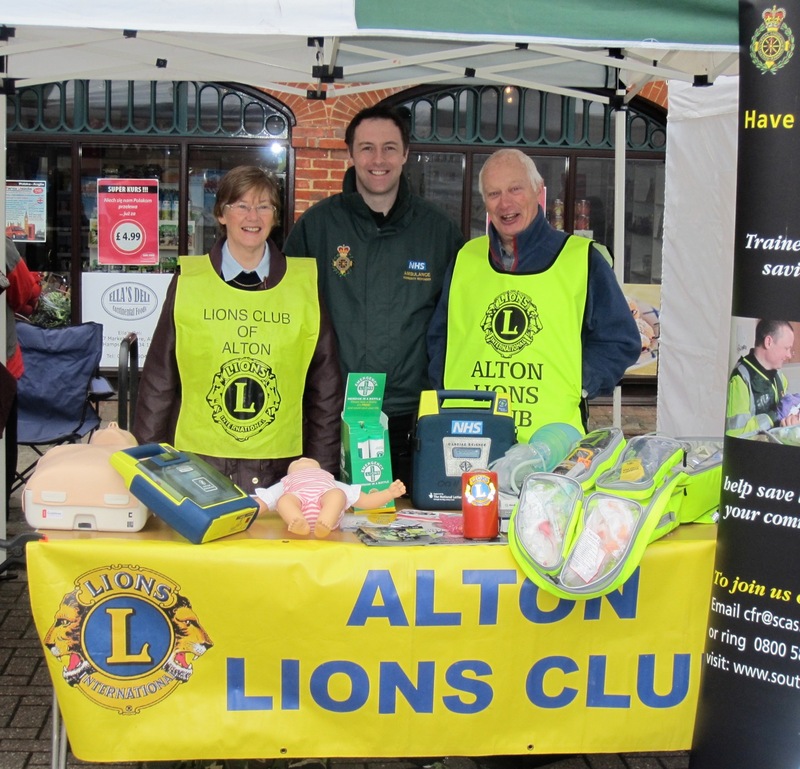 Alton Community First Responders were out to meet the public at the Alton Lions Craft Market. The First Responders who were the beneficiaries of the proceeds from the clubs Spring Quiz manned a stall provided by Alton Lions to take the opportunity to explain to people how they operate. The Responders are all volunteers, from a wide range of backgrounds who operate in their own time on an on-call basis, responding in their own transport. The scheme exists to compliment the service provided by the South Central Ambulance Service NHS Foundation Trust. There is a vital need for the scheme in the Alton area in order both to save lives and to provide support and reassurance to patients in the event of an emergency. They aim to be at the scene of an emergency within 5-8 minutes. This is vital for patients in these situations and the responders are able to provide the necessary emergency treatment, defibrillation and basic emergency life support to save lives prior to the arrival of an emergency ambulance. Community First Responders carry an emergency kit which includes a defibrillator and costs £2500. The scheme is run as a registered charity and the local group are looking for support both in the form of volunteers to train as Responders and funds to finance the operation. Photograph: Alton Lions President, Sarah O’Donoghue, Alton Community First Responders Coordinator, Antony Hickman and Brian Lazenby, Alton Lions Welfare Chairman. Previous Previous post: MIND Move into the Computer Age in Alton.